TALLAHASSEE, Fla. — It was another pitcher’s duel at JoAnne Graf Field on the final day of the 2018 ACC/Big Ten Softball Challenge, as No. 8 Florida State (8-1) and No. 20 Michigan (5-4) were scoreless through five innings on Sunday, before the Seminoles scored a run each in the sixth and seventh to earn a 2-0 victory. A pair of Seminoles earned ACC/Big Ten Challenge MVP honors as Sydney Sherrill was named Most Valuable Player on the weekend. The freshman batted .583 (7-for-12) with two doubles, two RBI, three runs scored and a .750 slugging percentage. Kylee Hanson earned Most Valuable Pitcher accolades, posting a 2-0 record for the tournament with a 0.00 ERA and 12 strikeouts. She allowed just one unearned run, four hits and three walks through 11.2 innings and limited opponents to a .098 batting average. The Seminoles got a pair of runners on in each of the first four innings, but could not manage to push any of them across the plate against Michigan starter Sarah Schaefer. 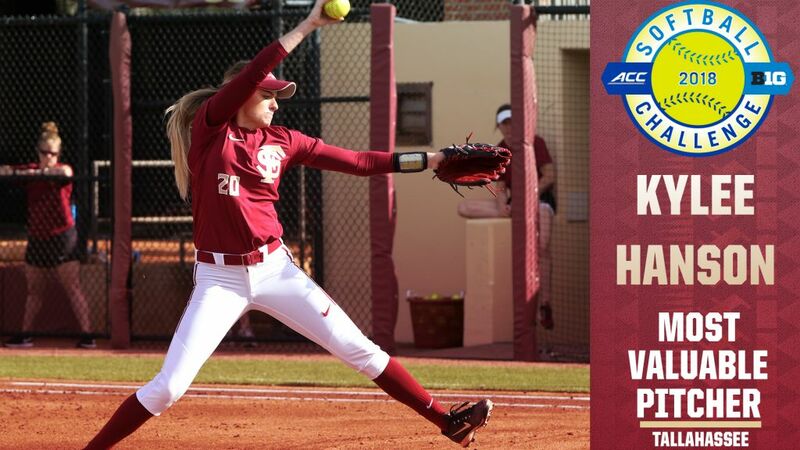 Doubles by Cali Harrod and Carsyn Gordon, along with singles by Sherrill, Elizabeth Mason and Korina Rosario provided the offense for Florida State, but each would be left stranded. Sherrill led off the FSU sixth inning with a double, prompting Michigan to make a pitching change to bring in Meghan Beaubien. Anna Shelnutt moved Sherrill up to third with a sacrifice bunt and Mason drove in her fellow freshman with a sacrifice fly to right to put the Noles on the board, 1-0. 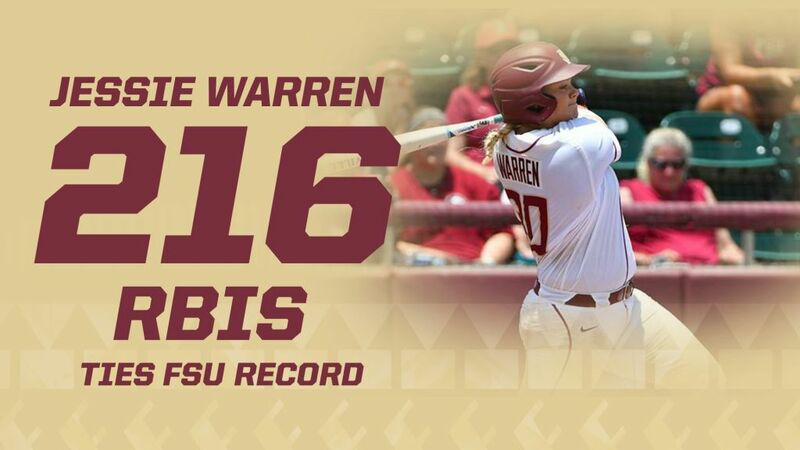 Warren connected on a Beaubien pitch in the top of the seventh inning, launching a solo home run to center to make it 2-0 Florida State. It marked the 216th RBI of her career, matching the Florida State record set by Maddie O’Brien from 2012 to 2015. Hanson tossed a two-hit shutout over 6.2 innings to improve to 5-0 on the season. She struck out four and walked two, and faced 24 of the 25 Michigan batters on the day as Meghan King entered the circle to pitch to one batter, striking out Aidan Falk to end the Michigan sixth inning. 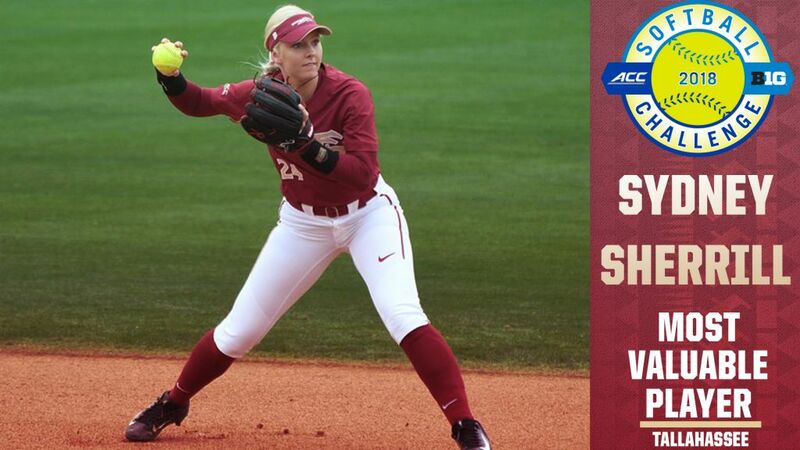 The Seminoles will face McNeese at home on Tuesday, February 20 at 6:00 p.m. on JoAnne Graf Field. Live stats will be available through Seminoles.com and a live radio broadcast will be featured on Shoutcast.com. Admission is free for all regular season home games, with reserved premium seating behind home plate available through the Seminole Boosters. For more information on the premium seating, contact Alex Douglas at adouglas2@fsu.edu.